Our Fall may be short in Calgary, but we love it! October is packed full of fabulous family-friendly events, performances, festivals, and more! Looking for something to do? Check it out! October 1, 9:30am to 5:30pm & October 2, 11am to 5pm. There will be local and national exhibitors showcasing the latest in technology, apparel, toys, and more to assist parents every step of the way! There will also be interactive workshops and seminars, parented play areas, arts & crafts, and ongoing entertainment! Free admission for kids 12 and under. For more information and to purchase tickets online and save, visit the website. Saturday Oct 1, 2016 at 9:30 am – 1:00 pm. 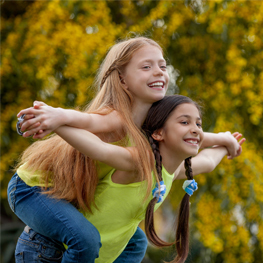 The South Calgary Wellness Fair is an annual event, with its theme of “Making Healthy Connections and Healthy Choices.” This Fair is for children, families, and seniors with displays, activities, and events. There will be displays of health and wellness resources, vehicles such as the Man Van, EMS, Police, Fire, the Alex Dental Health Bus, and the Library Book Mobile, as well as activities and entertainment for all ages. There will also be a Teddy Bear Clinic (bring your teddy bear or a doll for a check-up with family physician, mental and speech therapist, nurses), Colossal Play Date, Cultural Dancing, Face Painting, Henna, games for children, and activities for Seniors (Tea, Bingo, Multicultural Fashion Show). Everyone is welcome at this free event! Interpreters will be available. Check the website. Saturday Oct 1, 2016 at 10:00 am – 5:00 pm. 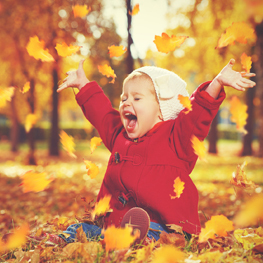 Celebrate Fall with some Fall fun! Come out and enjoy all that The Jungle Farm offers as well as a great local band, scarecrow building and more! There will be lots of kids and family activities to take part in. Check the website for more information. Saturday Oct 1, 2016 at 10:00 am – 11:30 am. A fun and informative guided walk in beautiful Edworthy Park! Learn about the park’s origin and wildlife, explore the historical Lawrey Gardens, and more! Wheel chair and stroller accessible. For more information, visit the website. October 1, 10am to 5pm & October 2, 11am to 4pm. The Calgary Reptile Expo! This expo is free for kids 3 and under and TARAS members. For more information, visit the website. Saturday Oct 1, 2016 at 11:00 am – 4:30 pm. By creating opportunities for interaction, activities, workshops, and performances, TeenFest (for ages 12 to 18 and their families) will engage and connect to the businesses and organizations that support our youth. For more information, visit the website. Sunday Oct 2, 2016 at 1:45 pm – 5:30 pm. Welcome to Culture Fest 2016! This is also a free family event. For all the festival details, visit the website. October 7 to 17, check website for schedule. Wordfest is coming to Calgary! Creators of the books Fox and Squirrel and If I had a Gryphon will dazzle readers! See them live at the Glenbow Museum Theatre on October 12 at 10am. For more information and to purchase tickets, visit the website. Oct 7, 2016 – Oct 8, 2016 at 11:00 am – 2:00 pm. Fall is here and thoughts of Thanksgiving dinner are starting to tempt your tastebuds. To help you select the pie you will serve up this year, join for the 4th Annual Thanksgiving Pie Bake Off, and choose a favorite pie in support of the Calgary Food Bank. Make a cash donation to the Calgary Food Bank and you will sample the 5 delicious pies, satisfy your taste buds, and help ensure all Calgarians have food on their plates this Thanksgiving. Join for the Pie Bake-Off on Friday, October 7 and Saturday, October 8 from 11am to 2pm in-between Innisfail Growers and Big T’s Smokehouse. It’s going to be slice! Check the website for more details. Sunday Oct 16, 2016 at 10:00 am – 4:00 pm. This is a free event! There will be 40+ vendors, a bouncy house, face painting, craft area, kids fun zone, reading nook, and much more! For more information, visit the website. One-Man Star Wars Trilogy plays October 18, 20, 22*, 23*, 26, 28*, 29*. One-Man Lord of the Rings plays October 19, 21, 22*, 23*, 25, 27, 28*, 29*. *Two-show double feature. Canadian actor and uber geek, Charles Ross, brings his solo madcap creation One-Man Star Wars Trilogy to the stage in this mind-bending whirlwind of a show. Ross retells the classic trilogy in 60 minutes – all the characters, the music, the ships, and the battles. One ring to rule them all, and one man to perform the entire Lord of the Rings adventure in one night! Watch as he recreates the enchanting world of Middle-earth with nothing more than elbow pads and his outrageous imagination. Be prepared to journey through the trilogy: The Fellowship of the Ring, The Two Towers, and Return of the King in 3,600 seconds of unbelievable kinetic entertainment! One-Man Star Wars Trilogy runs in rep (alternating evenings, some double-features) with One-Man Lord of the Rings at Pumphouse Theatre, October 18 to 29. The Lord of the Rings and the characters, items, events and places therein are trademarks or registered trademarks of The Saul Zaentz Company d/b/a Tolkien Enterprises. All rights reserved. One Man Star Wars Trilogy performed with permission of Lucasfilm Ltd. All ‘Star Wars’ elements property of Lucasfilm Ltd. All rights reserved. Check the website for more information. Oct 21, 2016 – Oct 23, 2016. Check website for show times. Y Stage Theatre Series Presents, Soulpepper’s Alligator Pie, at Vertigo Theatre. Alligator Pie brings the celebrated children’s poems of Canada’s Father Goose, Dennis Lee, to vibrant theatrical life. For ages 3+. For more information and to purchase tickets, visit the website. Saturday Oct 22, 2016 at 11:00 am – 3:00 pm. Strathcona Square has been apart of the community & city since 1992, while their community has grown and others have grown around them they have maintained that community spirit. In recognition of that spirit Strathcona Square is hosting its first “Pumpkin Festival” on Saturday October 22 from 11:30-3pm free of charge and open to everyone! The Pumpkin Festival will have a Pumpkin Pie & Pumpkin Carving Contest with prizes for the TOP 3 in contests, Entertainment and activites. Do you think or have been told that you have the BEST Pumpkin Pie ever, than enter our contest today; registration forms available at various merchants in the Square who have the Poster in their Window or contact us at inquiries@dmeinc.ca or www.facebook.com/StrathconaSquareShoppingCentre. The Pumpkin Pie contest is open to Amateur and Professionals alike. Ok calling all Children & Families; do you have fun creating your carved pumpkins for Halloween, if so this contest is for you; The Strathcona Square Pumpkin Carving Contest enter our contest today! Registration forms available at various merchants in the Square who have the Poster in their Window or contact us at inquiries@dmeinc.ca or www.facebook.com/StrathconaSquareShoppingCentre. October 27 to 29 from 6 to 9pm & October 30 from 4 to 7pm. Ghouls’ Night Out at Heritage Park Historical Village! Have tea with the Mad Hatter, wander through the pumpkin patch, play carnival games, dance with Zombies, and more! For ages 3 to 9. For more information and to purchase tickets, visit the website. Friday Oct 28, 2016 at 4:30 pm – 6:30 pm. 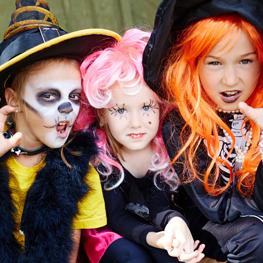 Come dressed in your favorite costume and join for creepy crafts, ghostly games, and ghoulish activities! This is a free event. October 29 & 30 from 10am to 5pm. Monster Mash-Up at TELUS Spark! Proudly Sponsored by Calgary’s Child Magazine. Monster Mash-Up is the perfect family-friendly event to kick-start your Halloween celebrations. Enjoy activities and watch a live science demonstration with the whole family to get everyone in the Halloween spirit. It’s sure to be a frightfully fun time! Cost: Included with Membership and Admission. Free for kids 3 and under. For more information, visit the website. This entry was posted in Uncategorized on September 29, 2016 by Calgary's Child. Illuminasia – Magic for the Whole Family! 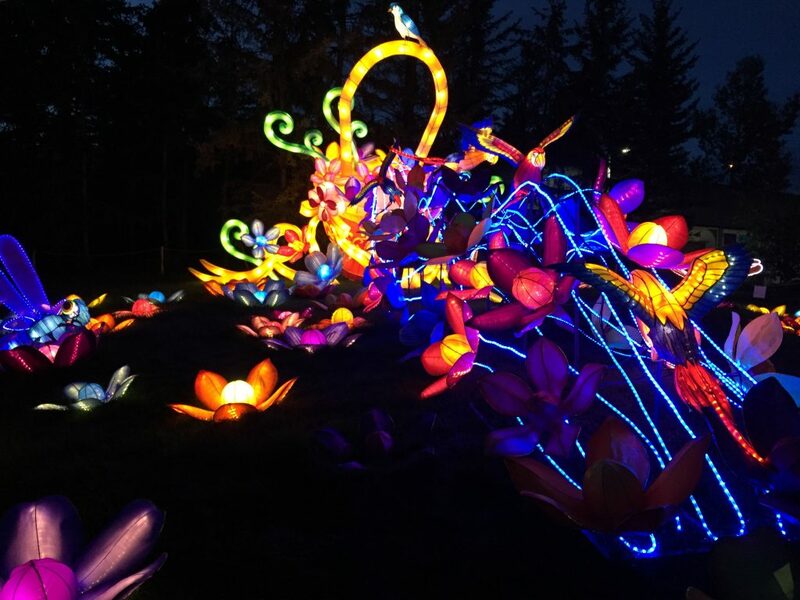 If you’ve been at the Calgary Zoo lately you have probably seen the beautiful silk lanterns of Illumninasia have returned for a second year. And, while they are a beautiful addition to look at on your day trip adventures they are absolutely spectacular when the lights go down. The lanterns themselves (over 260 of them) were individually created over five weeks by a team of 55 highly skilled artisans. The display stretches from the North Entrance and is centralized around the conservatory and the gardens. They showcase the four seasons and culturally significant animals. One of our favourite displays is the Flower basket on your way down to the bridge to the island. For those curious about how such magical pieces were created you can learn about the process displayed on 12 lanterns set up just outside the Kitimba Café. While the lanterns are the big draw there are also drop-in activities, entertainment performances, and paid activities. The artists who do the calligraphy are amazing. The program run from Thursday – Sunday from 7 p.m. until 10 P.m. and will only be available until October 16, 2016. 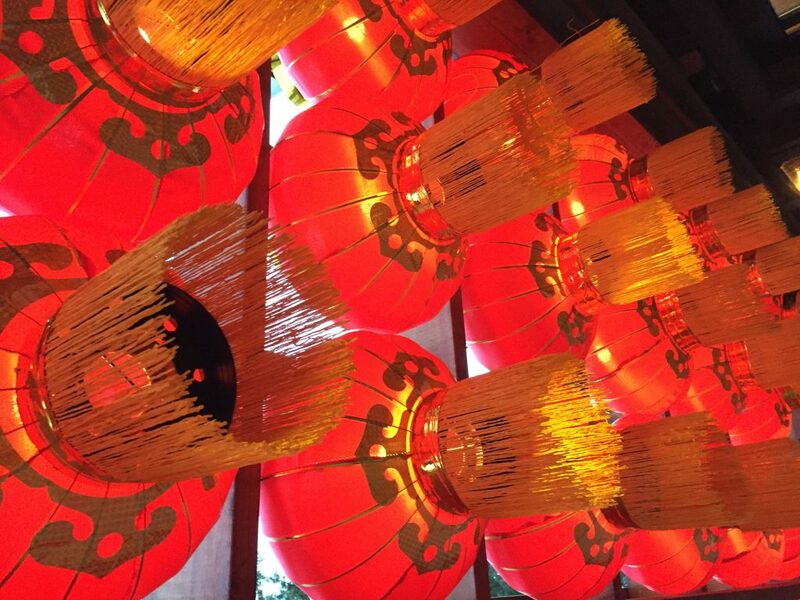 Plan to go early – there is nothing more spectacular than watching the lanterns slowly come to life as the sun sets. The Zoo recommends giving you and your family between 45 minutes to an hour and 15 minutes to get the best experience. Pack for the weather – the sun sets quickly and it’s great to have some warm clothes, blankets or mittens. Or warm up by doing one of the kids’ activities in the Kitimba Café. It gets crowded – for the best views of the lanterns walk around while The Journey of the Monkey Princess is happening at the main stage by Grazers. The family show happens at 7:30 and the second show geared to an older audience happens at 8:30. On that note: Skip the Stroller – or wagon if you can. We know they are handy but there are lots of people and some of the displays are in spaces where it’s hard to maneuver and you’ll have to find parking for it if you watch the show. Set on seeing the show? Get there early. There are lots of hay bales set up for seating as well as limited risers. While there are good views from almost everywhere if you have small children you’ll want to stay way back from the speakers. Most importantly? Don’t forget to take lots of pictures! We hope you enjoy the experience as much as we did. Plan you path around the Calgary Zoo with this handy map! There is also a charge for parking $7 per vehicle. This entry was posted in Uncategorized on September 21, 2016 by Calgary's Child. It’s September, and Calgarians know that means the snow is coming! Looking for a few last things to do before the snow really gets flying? There are all kinds of fun and exciting events going on around town over the next couple weeks which you should really check out! A smashup of art, science, and engineering! Festival events are held city-wide across Calgary. For full schedule details and to plan your festivities, visit the website. Enjoy traditional Greek food, entertainment and culture as the Greek community of Calgary hosts its annual festival! For more information and schedule of events, visit the website. Want an event for those needing a little thrill? The Jungle Farm corn maze will be open this evening from 7 to 10pm to enjoy by moonlight! The cool Fall air may be a little chilly, so you may want to bring your jacket and a flashlight. Check the website for more information. The 2016 Heritage Inn International Balloon Festival features 20+ hot air balloons from across Canada and the world flying over High River, with many pilots competing in the Canadian Balloon Championship. Friday evening balloon glow gives visitors the opportunity to see the balloons up close, meet the pilots and visit the food trucks. (All flights and events weather-dependent.) Check the website for more information. Bring a flashlight and your send of direction. Last admission is at 8pm. And catch the last pig race at 7:15pm. There are also tons of great pumpkins to choose from in the patch! Check the website for more information. 2nd Annual Kiwanis Apple Festival. There is free admission. Have some family fun with apple baking and tasting, bouncy castle, face painting, games, farmers’ market, live entertainment, silent auction and more! Net revenue to support the operation of Kamp Kiwanis, a summer camp for underprivileged/disadvantaged children. /KiwanisAppleFestival. @KiwanisApple. Website. Canmore Community Daycare Society Presents the Fall Fair 2016, a fundraiser for the Canmore Community Daycare Society. Lots of activities for families (horse rides, clowns, face painting, bouncy castle, live music, photo booth, hay maze…and more). Affordable fun for all! Have fun! Learn a few things! Celebrate children, families and our amazing community! Website. Ignite your imagination as the trains take centre stage with demonstrations, hands-on activities, and exciting exhibits. Take part in the Kids’ Railway Challenge. Enter to win great prizes! For more information, visit the website. Going beyond the pumpkin patch! Kayben Farms introduces Autumn Jubilee. Celebrate the Fall season for four weekends at Kayben Farms with special events, entertainment, music, displays, and shopping. September 24 & 25: Celebrating local talent – live music on stage all day. October 1 & 2: Artists in action – shop at an artisan market, watch artists create on stage. October 8 & 9: It’s all about food! Sampling, buying, and discovering local food. October 15 & 16: Honouring agriculture, past and present. For more details, visit the website. This entry was posted in Uncategorized on September 13, 2016 by Calgary's Child. Thursdays through Sundays, September 8 to October 16. 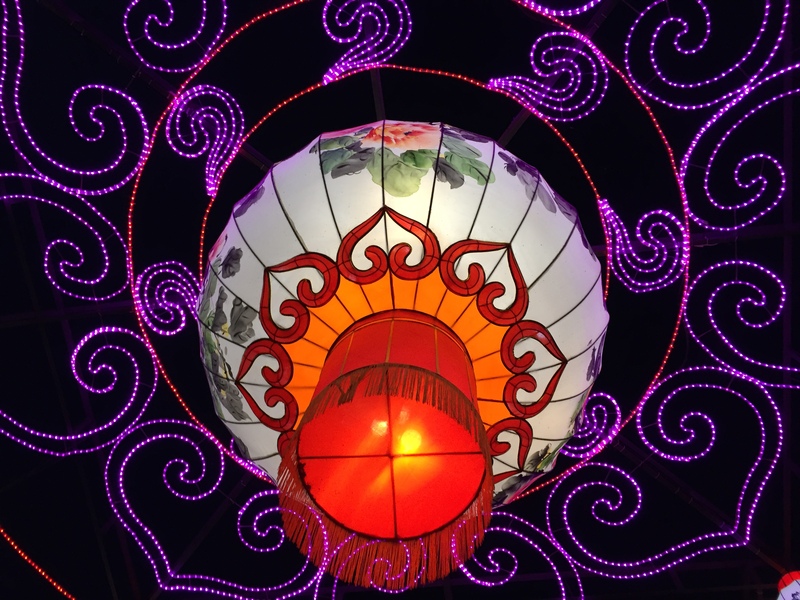 Authentic Chinese lanterns will light up the Calgary Zoo and set the stage for a unique experience like no other in Calgary! For more information and to purchase tickets, visit the website. September 10 & 11. Stock up on fresh fruits and veggies at rock-bottom prices that benefit local charities. Then stay and enjoy activities throughout the Park! For more information, visit the website. Dream Day Fall Fair is coming to the Town of Crossfield! Dream Day is everything you loved about Fall Fairs growing up, from rides and carnival food, to having your face painted and meeting some furry friends at the petting Zoo. Also, there will be 7 show homes by Homes by Dream Calgary, ReidBuilt Homes Calgary, and McKee Homes on display. You don’t want to miss this great event for kids, adults and families. Best of all, it’s free! Here is a list of all the fun events/activities to expect: Food Truck (Spud Studz); BBQ; Ice Cream Truck; Lemonade Truck (Family Freezed); Cotton Candy Stand (Sugar Cube); Popcorn Truck (Sugar Creek Gourmet Popcorn). Activities: Euro Bungee; Face Painters; Balloon Artists; Magician; Arts and Crafts Booth; Blow-up Slide; Obstacle Course; Musical Guests (Josh Wilson Band); Petting Zoo and more! Check out the website for more information. Hear Ye, Hear Ye! Calling all Noble Princesses! The Kingdom of Children’s Wish formally announces the Royal annual Wishmaker Walk – The Princess Prance Edition. Come one, come all for an enchanted race where everyone is a Princess for a day. The annual #WishmakerWalk sees thousands of Canadians participate in a fun, family-oriented day with one goal in common: to raise money so that children living with a life-threatening illness can be granted their most heartfelt wish. Distance: 1km or 5km route. Registration begins at 9am and event starts at 10am. For more information and for more unique ways to get involved and raise funds and awareness, visit the website. This entry was posted in Uncategorized on September 8, 2016 by Calgary's Child.